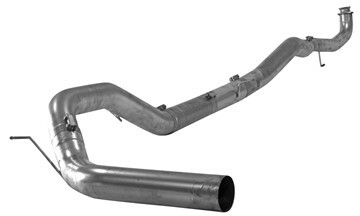 FloPro's 5" Aluminized Down Pipe Back DUAL exhaust kit for your 2011 - 2015 GM 6.6L Duramax LML - No Muffler / No Tips. Comes w/ 4" Cat Pipe. See important notes inside. 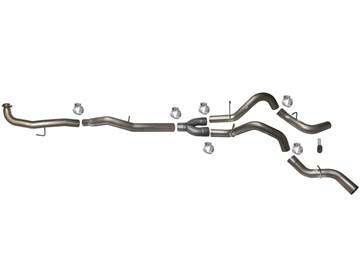 FloPro's Aluminized 5" Down Pipe Back Dual Exhaust kit for your 2017-2019 GMC/Chevy Duramax 6.6L L5P 2500/3500HD turbo diesel PICKUP. 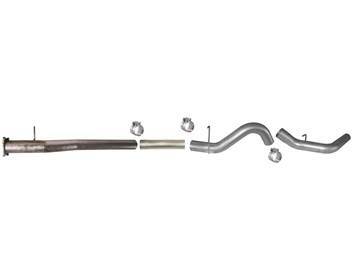 This pipe kit will only fit models equipped with the OEM style 4-bolt flange off of the turbo direct pipe. Race tuning required. This kit does not come with a muffler and will fit PICKUP applications ONLY (Will NOT Cab & Chassis models). Comes with 4" cat pipe. 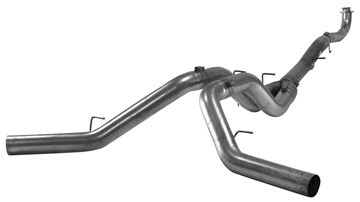 FloPro's 5" Aluminized Down Pipe Back exhaust kit for your 2011 - 2015 GM 6.6L Duramax LML - With Muffler / No Tip. See important notes inside. 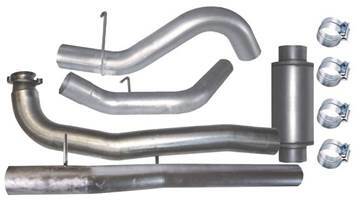 FloPro's 5" Aluminized Down Pipe Back exhaust kit for your 2011 - 2015 GM 6.6L Duramax LML -No Muffler / No Tip. Only works with v-band style exhaust (not the 3-bolt flange style). 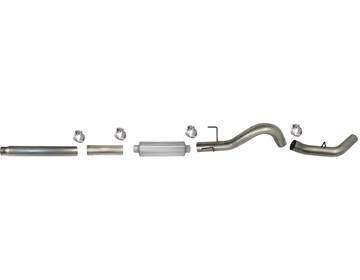 FloPro's Aluminized 5" Down Pipe Back Exhaust kit for your 2017-2019 GMC/Chevy Duramax 6.6L L5P Cab & Chassis turbo diesel. 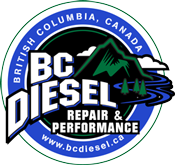 This pipe kit will only fit models equipped with the OEM style 4-bolt flange off of the turbo direct pipe. Race tuning required. 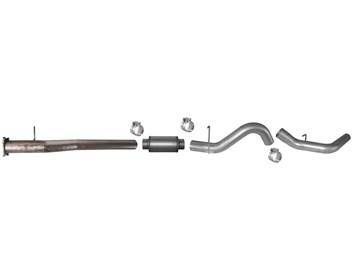 This kit does not come with a muffler and will fit CAB & CHASSIS MODELS WITH A CREW CAB ONLY.